Look as good as you feel! Aesthetic treatments can give you a subtle edge over the competition with a look that seals the deal. 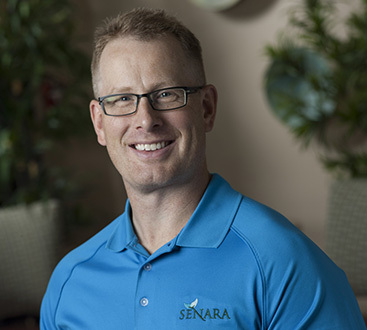 Senara Medical Spa offers a full menu of non-invasive and minimally invasive cosmetic aesthetic therapies for men that provide natural-looking results. Men now account for over 10% of the total cosmetic procedures performed in the U.S. And that number is rising year over year! Treatments and consultations are held at our luxuriously accommodated medical spa. Request an appointment via our online form or by calling (309) 245-1995. Save every day on Senara Medical Spa’s treatments when you enroll in our exclusive Medical Spa Membership program. Members save up to 20% on qualifying treatments! Call (309) 245-1995 or speak with your Senara Medical Aesthetic provider to enroll. Learn about your treatment options and get a customized quote. Senara’s Medical Aesthetic Practitioners will determine your candidacy for treatment and select the most appropriate plan for your goals. This appointment is required prior to being any medical aesthetic procedure program. Consultation fee can be credited towards future medical spa treatments. OnabotulinumtoxinA is a physician prescribed injection that temporarily smooths lines around your eyes and between your eyebrows. Senara Medical Spa offers both Botox® and Dysport® brands of onabotulinumtoxinA prescriptions. Your Senara Medical Aesthetic Physician will choose the best brand for treating your crow’s feet and frown lines. OnabotulinumtoxinA (Botox® and Dysport®) is made from tiny amounts of a highly purified protein and is one of the most highly researched drugs in the world, ensuring safety and effectiveness. It is prescription injection proven to help smooth the appearance of moderate to severe frown lines between the eyebrows without changing the look or movement of the rest of your face. Untreated muscles still work normally, so you can continue to express feelings naturally. It’s the lines that are minimized, not your expressions. Treatment is quick and relatively painless. You’ll spend about 15 minutes in the office and be on your way. Downtime after treatment is minimal, just enough time to allow the medication to be fully absorbed. Results last an average of 3 months in most patients. So you’ll only need to do treatment about 4 times a year. Ready to get started on reducing the appearance of the wrinkles around your eyes and forehead? Give us a call at (309) 245-1995 to schedule your consultation and treatment with one of our experienced Medical Injectors. Fight the effects of gravity with non-surgical hyaluronic acid filler treatment. Senara Medical Spa offers both Juvederm® and Restylane® fillers, allowing us to give you the most natural-looking results possible. It’s all about using the right product in the right place. And our experienced Medical Aesthetic physicians will make sure you always look refreshed, never overdone. Juverderm® and Restylane® fillers are used to correct and soften the appearance of lost volume in the mid-face and mouth. The result is a more youthful appearance, that lasts for a full six months (or more). Facial filler treatments are made from Hyaluronic Acid (HA), a naturally occurring substance already found in the body. Injections are administered by a licensed medical practitioner to fill wrinkles or add volume, shape your face or lips or rejuvenate your skin. Treatment is non-surgical and requires minimal downtime. In-office treatment takes about 30 minutes. Touch up treatment after two weeks is recommended to fine-tune results. Retreatment at 6 months is recommended to maintain results. The HA filler is slowly dissolved by your body over the course of 8-12 months, so the 6-month mark is the ideal timeframe to retreat. Lift and rejuvenate your appearance with Juvederm® and Restylane® fillers at Senara. Call (309) 245-1995 to schedule your consultation to discuss options with our team of medical aesthetic injectors. COOLSCULPTING® is an FDA-approved treatment for submental and submandibular fat reduction. It is the only non-surgical treatment that both contours the area below the jawline and improves the appearance of skin laxity, even in heavier patients. Treatment takes less than an hour, and there is no downtime. Full results take about three months to show after treatment, and results are permanent. Erase acne scars and smooth the texture of your skin. Sublative is a non-invasive treatment that effectively reduces acne scars, mild to moderate wrinkles and superficial skin discolorations. `Using fractionated bi-polar radio frequency (RF) in the form of a matrix, new collagen and healthy skin cells are produced. The result is improved tone, texture, and overall smoothness of the skin. For best results, expect 4 treatments, 4-6 weeks apart. The total number of sessions depends on your skin’s condition and the recommendation of your Medical Aesthetic provider. Ultherapy is a non-invasive, FDA-cleared treatment to lift and tighten the skin. The exclusive technology uses tried-and-true ultrasound to stimulate the production of collagen deep within your skin. As new collagen builds after treatment, your skin will begin to subtly lift, improving fine lines and wrinkles on the neck, chin, and brow. And a single treatment lasts up to 18-24 months before another session is needed! Sublime is a safe and gentle skin contouring treatment that combines bi-polar radiofrequency and light energies to precisely heat the dermal tissue and stimulate the production of collagen within the target treatment area. Fine wrinkles are reduced, facial contours improved and overall skin quality reveals a much smoother, more even complexion. Sublime is safe and effective on all skin types and involves no downtime.